A fatal motorcycle crash this week in Cayuga County is a tragic reminder of the importance of spousal insurance coverage on motorcycles. 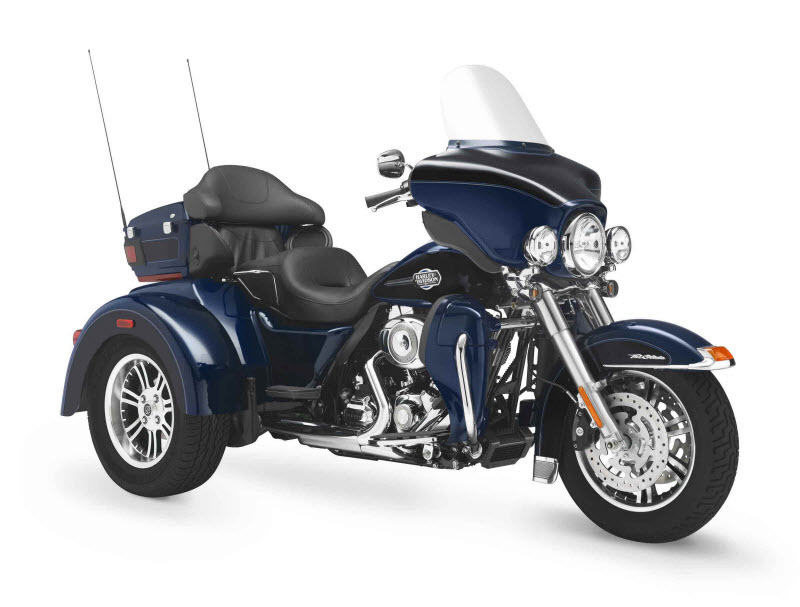 Police authorities tell the Syracuse area news media here and here that Kenneth E. Banner, 62, of Weedsport, was driving a 2012 Harley-Davidson Trike motorcycle Tuesday afternoon on a road in the town of Brutus when the motorcycle veered off the road, struck a tree and turned over. Witnesses said the motorcycle was moving slowly, then sped up quickly before the accident occurred. Mr. Banner died while being airlifted via Mercy Flight to Upstate University Hospital, police said. Mr. Banner’s wife, 61-year-old Roberta, who was the passenger, was transported by ambulance to the same hospital. Her condition was not available. 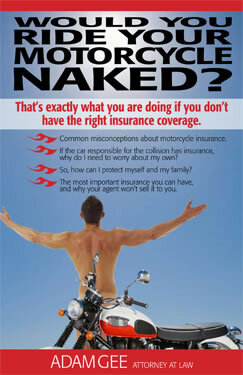 My free book on motorcycle insurance — “Would You Ride Your Motorcycle Naked?” — can answer the complex insurance questions all motorcyclists face. 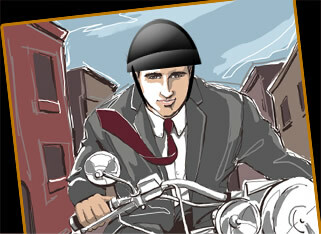 Spousal coverage on motorcycles is important! The general rule in New York State is that one spouse may not sue another, even where grave injuries or death occur as a result of a horrific incident like this, but if a special kind of insurance known as spousal coverage is purchased, the insurance coverage on a motorcycle or car can be accessed by the passenger spouse, even in single vehicle accidents like this. Residents of Elmira, Corning and all across the Twin Tiers: For details on spousal coverage and an explanation of motorcycle insurance coverage and the kind of coverage you need, order my free book today! My thoughts and prayers are with the Banner family today. This entry was posted in Motorcycle Accidents, Motorcycle Insurance and tagged accident attorney, accident lawyer, Adam Gee, Adam M. Gee, American Motorcyclist Association, Elmira New York, Harley-Davidson, Interstate 86 motorcycle crash, Motorcycle, motorcycle accident, motorcycle safety, Motorcycling, New York, new york motorcycle, new york motorcycle attorney adam gee, new york motorcycle crash, new york state motorcycle laws, NY motorcycle accident attorney, NY Motorcycle Lawyer, PA motorcycle accident attorney, PA motorcycle lawyer, Pennsylvania motorcycle accident attorney, Twin Tiers, Vehicle insurance, Weedsport New York. Bookmark the permalink.